> The wedge is your get out of jail club. It’s the jumper cables in your trunk or the first aid kit in the glove box. 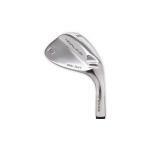 When you pull out your golf clubs and see your wedge looking up at you, it should give you the same feeling as mom coming into the room with a plate of fresh baked cookies. If it doesn’t, keep reading. When picking out a wedge the main thing to consider is your ability. Are you a player that needs a club that is oversized and forgiving or do you prefer to play a wide variety of shots to escape those dreaded bogeys? 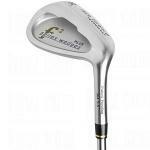 Forgiving – Higher handicappers should choose a wedge with a large cavity back clubface. 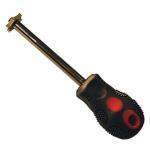 I like the Cleveland CG14. It has a forgiving cavity back but they’ve put a gel vibration damping material in the back to give it a feel similar to the player’s wedge. 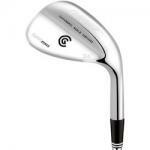 Another great choice is the Boccieri Golf Heavy Wedge. This wedge has a balance point closer to your body which helps you keep your hands out of the shot. Playability – For you short game magicians there are a lot of cool choices out there. 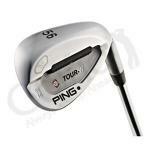 I usually look for something small and sleek that is milled with a super sticky clubface. 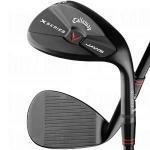 My favorite is the Titleist Vokey Spinned Milled wedge. The face of this thing is so rough that it will actually scuff a Pro V1 golf ball. 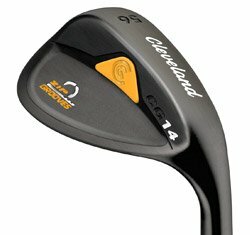 Another cool wedge is the Cleveland CG15. 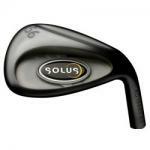 With this wedge you have your choice of aggressive or nonaggressive grooves, plus the S sole is wider near the heel and narrow near the toe providing a club that is makes it very easy to escape from the bunker without sacrificing your ability to open and close the clubface. You found it. This is one of my favorite wedges out there. 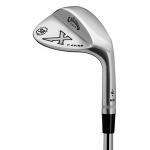 Actually, I'm not that original; this is one of the most popular wedges on the market. Let me tell you why. These Scratch Golf wedges have developed a cult following for two reasons: They are very soft and have a different grind to suit every swing type. 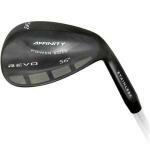 This is a very inexpensive wedge brought to you by Affinity Revo. (Isn't that a car?) This is what I would call a Walmart-quality club and is for those high handicappers that aren't discriminating about their wedges. With all the technology being focused towards our drivers, and our hybrids, and even our putters, we hardly hear much about the wedges. Solus is taking the lead on this. Here's a gorgeous wedge from Cleveland. It's so pretty -- I'd just like to have it in my living room as an ornament. I could lean it up against my Jack Nicklaus statue. If there's one thing Cleveland makes extremely well, it's the wedge. I have toted a Cleveland sand wedge ever since I can remember, and it is still truly one of my favorite, most confident clubs to hit. Yes, even out of the sand.